I am often asked to do I enjoy my work. My answer is most definitely YES! For me, the satisfying part is to see the transformation of a damaged carpet into an excellent repair. But the most rewarding part is to see the transformation of an anxious/worried customer into a happy, smiling person and the incredulous look on their face, the sigh of relief and the gasp of amazement at the final result of a professional quality carpet repair. As long as the carpet to be worked on is in good condition and the spare piece I am provided with to do the repair is in good condition, an excellent result is guaranteed and you will be happy. The latest and best hi-tech equipment and materials imported from America are used for the repair. 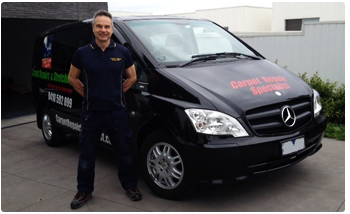 Along with over 30 years of experience in carpet repairs, to achieve the best result possible. A top quality job, with over 30 years experience in all aspects of the carpet trade, I will bring to you old fashioned values and integrity ensuring you get a superior job, completed without fuss and with minimal disturbance. Rick has a reputation for superior workmanship, coupled with client satisfaction, which enables him to rely predominantly on word of mouth referrals. Rick listens and assists. He aims to be a problem solver for all your carpet needs. FAST, FRIENDLY, PROMPT, RELIABLE & TOTALLY PROFESSIONAL SERVICE. 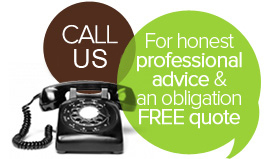 Available to homeowners, tenants, landlords, property managers, estate agents & insurance companies.